KRCL Recruitment – 2018 announces the post of KRCL Jobs. This recruitment notification has been announced on their official website. Through this recruitment notification, KRCL plans to recruit Bachelor’s Degree qualified candidates for this post of KRCL Jobs. So that the interested candidates can apply the job of KRCL. The deadline of the post has been fixed on 18.10.2018. After this last date 18.10.2018 no more application will be considered for this vacancy of KRCL. KRCL announces the base salary for this post is from Matrix level-7 of 7th CPC. KRCL hiring the 28 candidates for the post of KRCL Jobs. So, qualified candidates can apply for the post of KRCL Jobs by filling the Online application form. The application form will be available in KRCL website. If candidates have any doubts about this online application form, please refer our Application procedure below. Who are all interested and eligible for the post are requested to submit your application on or before the last date of KRCL examination. Applying candidates are requested to fill their details in online Application form with utmost care and verify before submitting the form because certain fields are fixed and cannot be edited. 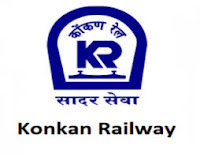 The KRCL will be conduct the exam for the post of KRCL Jobs on . The interested candidates can apply the job for the post of KRCL Jobs throw Online mode and the application will be posted to the KRCL on or before 18.10.2018. The candidates should attach the certificates copies, passport size photo copy along with that application. Candidates should have the Educational qualifications indicated for notified posts in the notification from recognized Institutes/ Universities/ Boards as on the closing date for submission of the ONLINE application. The details of academic qualifications are as under. Those awaiting results of the final examination of the prescribed educational qualification SHOULD NOT apply. Full time regular Bachelor's Degree in Engineering or Technology with not less than 60% marks in aggregate or equivalent CGPA taking average of all the Semesters/Years, irrespective of the weightage given to any particular semester/year by the Institute/ University. (The total maximum marks and total marks obtained for all years/semesters will be summed up to arrive at aggregate percentage. No rounding off will be done and no weightage will be given to any particular semester or year). Four years bachelor degree in i) Electrical/ Electronics & Power Engineering or ii) combination of any sub stream of basic streams of Electrical from recognized University /Institute approved by AICTE. Four years Bachelor's Degree in Mechanical / Industrial/ Automobile/ Production Engineering from a Recognized University/ Institute approved by AICTE. Four years Bachelor’s Degree in i) Electrical/ Electronics/ Information technology/ Communication engineering/ Computer Science & Engineering/ Computer Science/ Computer Engineering or M Sc electronics OR ii) a combination of any sub stream of basic streams of Electrical/ Electronics/ Information Technology/ Communication engineering from recognized university/ institute approved by AICTE. Four years Bachelor’s degree in Civil Engineering from university/ Institute recognised by AICTE. In addition to above Graduation the candidate should possess a valid Graduate Aptitude Test in Engineering (GATE) score in the years 2016 / 2017 /2018 in respective / equivalent stream of examination. All the qualifications should be with full time regular course/s from AICTE approved institutions.Candidates appearing at and/or awaiting result are not eligible. 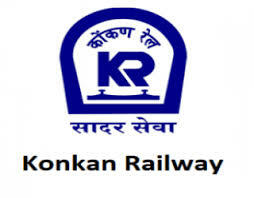 KRCL will be held the Written Examination for the post of KRCL Jobs. The eligible applicants can apply the above mentioned post. The applicants can apply the job in Online registration mode only. KRCL planned to fill 28 vacancy for the post of KRCL Jobs. KRCL strictly follow that the candidates must have the original certificate while document verification process, so that the candidates should attend the interview with their original certificates.